The Alcatel-Lucent 1660SM — synchronous multiplexer — is still one of the industry’s top synchronous transfer mode 64 multiservice provisioning platform that’s designed to work with next-gen multiservice synchronous digital hierarchy metro networks and regional transport networks. Worldwide Supply offers a variety of new and used Alcatel-Lucent 1660SM options to support your enhanced connectivity across ring, star, mesh and other network topologies. The system supports a range of services, from 2 Mbps and Ethernet to GE and 10 Gbps. Manage your deployment with ease with this single solution for carrier transport and packet switching. 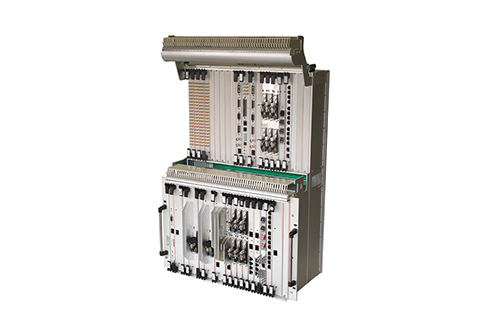 These units offer a single-shelf build that is designed to easily integrate with a variety of functional transport features such as SDH cross-connect and Coarse Wavelength Division Multiplexing add/drop functionality. The system also provides a carrier-class, Layer 2 packet/cell switching functions for Ethernet, MPLS and ATM. If you’re venturing into the world of dark fiber as well as your lit offerings, the used Alcatel-Lucent 1660SM can be a good complement in your network so there is minimal interruption, but also significant support when there are concerns on the network. The Alcatel-Lucent 1660SM supports an end-to-end service and assistance with the company’s 1350 Optical Management System. The OMS helps you control both transport and packet functions across multiple SMs and needs, from service provisioning and monitoring to troubleshooting across triple play services. Used and refurbished Alcatel-Lucent 1660SM units from Worldwide Supply can manage both the metro and regional applications for your network. The platform can help you generate revenues from multiple broadband services and triple-play options as well as private line and Ethernet businesses you’re currently running. You can turn that service support into a more significant return by choosing one of our used or refurbished Alcatel-Lucent 1660SM units. These come at a savings of up to 80% off original OEM pricing and are backed by a lifetime warranty. We review every SM before sale with in-house experts and real-world scenario testing. You can be sure you’re getting the right products and reliability while having more money on hand to put into further network growth. Expand those savings with NetGuard maintenance packages from Worldwide Supply. These generate 50% to 80% savings compared to traditional network maintenance and upkeep by putting more equipment under a single contract. We cover more than 200 product families from dozens of OEMs, without traditional EOL and EOS dates. You get a single point of contact for your network with 24/7 support, plus deliveries as fast as same-day in some areas. Looking for support with mobile aggregation? You’ve found the right equipment partner in the Alcatel-Lucent 1660SM. Talk to our support staff to find the right refurbished Alcatel-Lucent 1660SM model with the links above or start the process yourself with the links below.